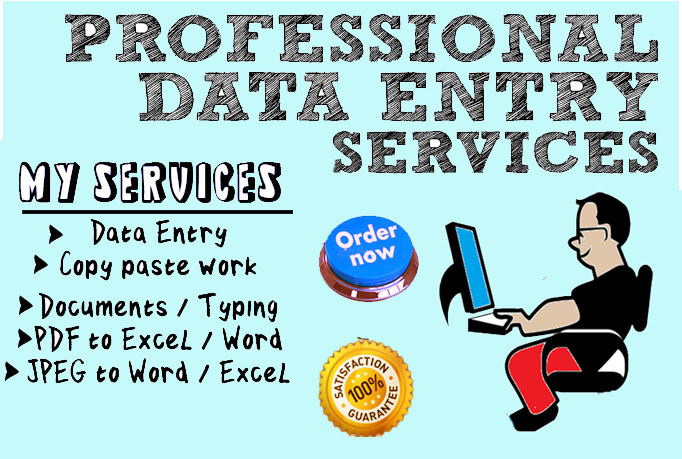 I will do data entry, copy and paste from websites or PDF to Excel or word. Data entry, copy and paste from websites or PDF to Excel or word document. or any other type of data entry method that you choose. I will do data entry, copy and paste from websites or PDF to Excel or word is ranked 5 out of 5. Based on 3 user reviews.